5. How to access the Resume Database, view candidates, and contact them? To access the resume database on Jobs Vibhaga, first, open the website and log in to it, if you are already logged in ignore this and follow the below steps. Drag the mouse pointer on to your username which is on the top menu bar, immediately a submenu occurs showing ‘Find a Candidate’, click on it. After clicking on it, immediately the page is redirected to the ‘Find a Candidate’ page as shown in below screenshot. In this page, you can find the list of candidates and their profiles, if you want to know more about them, just click on their profiles. Immediately their individual profile will be shown as in the below screenshot. This way, you can access the resume database on this ‘Find a Candidate’ page. In this page, an advanced search tool is provided, where you can filter and search the candidates according to your requirement by applying the filters provided. Screenshot: search tool on ‘Find a Candidate’ webpage. As you see, the search tool concise of the search bar, location filter, and resume category. Where in the search bar, we can include any keyword regarding our requirement. To access the resumes only from a specific location, we can enter the location name in the location filter. To access the resumes from a particular resume category based on their functional area or role, we can use this category filter. Not only this search tool, there is an integrated map to the search tool on ‘Find a Candidate’ page, we can search for the candidates/resumes from particular area location through this map. This tool is very unique and provided only on our job portal, which is used to find nearby candidates for your Job location. This way you can access the resume database access and individual resume listing. On individual resume listing, you can find all the details about the candidate, and also a ‘Contact’ button to contact the candidates directly. Screenshot: Individual sample resume listing highlighting ‘Contact’ buttons. To contact the candidate click on the provided ‘Contact’ button, immediately a pop-up window appears as shown in the below screenshot. Enter the message which you want to convey to the candidate. 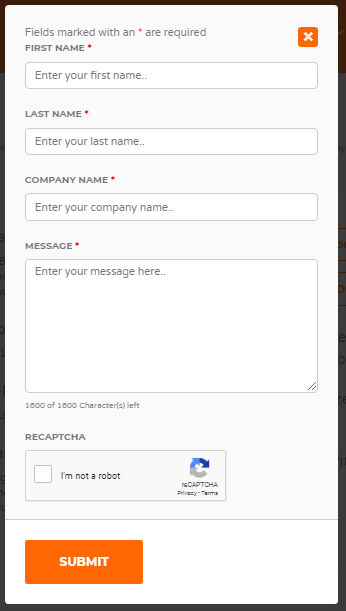 Click on the Recaptcha element to prove not a bot and click on the button ‘Submit’ to send the message. Thus now sent a message to the candidate, candidate notified by an email immediately. 7 How Jobs Vibhaga is better than other job portals on internet? 6. How to bookmark a candidate or resume? 4. How to view and manage the applications for Job listings on Jobs Vibhaga? 3. How to view statistics of the job listings on Jobs Vibhaga? 2. 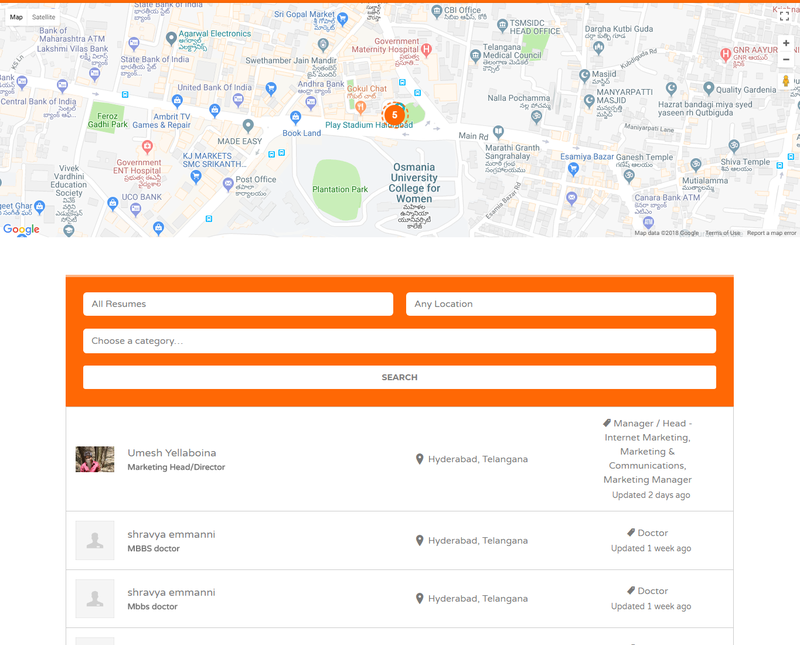 How to post a job listing on Jobs Vibhaga? 1. How to register on Jobs Vibhaga as an Employer? How to buy an employer Package?